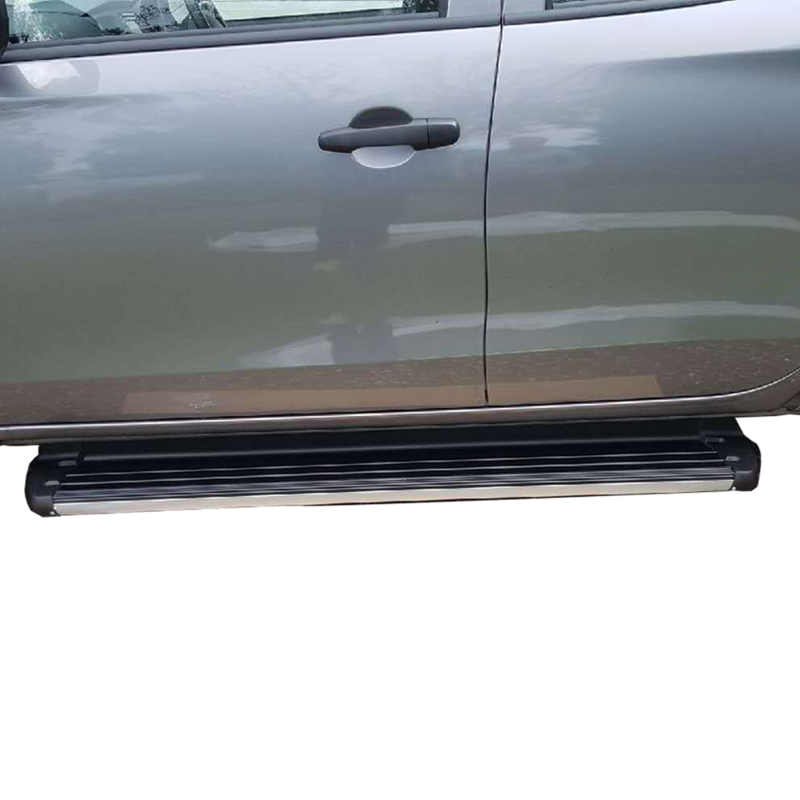 Material: Alloy Step, Rubber Side Strip, Steel mounting brackets. 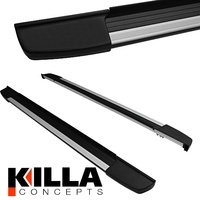 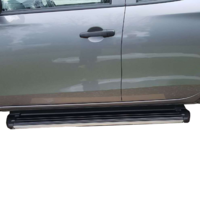 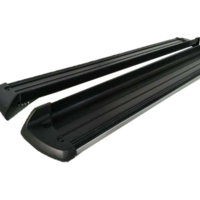 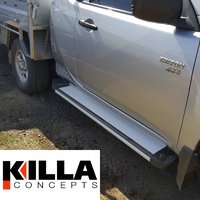 This pair of Killa Side Steps are the perfect accessory for your Mitsubishi Triton. 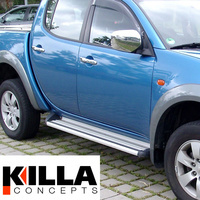 They suit vehicles made from 2015 to present. 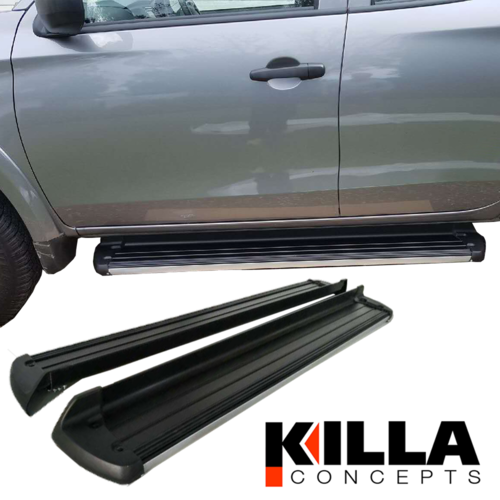 The black side steps look great and with a broad step area you'll be safe while getting in and out of your Triton.